Our first installment of our Blog Book Club was reading Kulti by Mariana Zapata. Three of us read the book, one DNF and two really liked it! It was a perfect example of how reading is totally subjective. 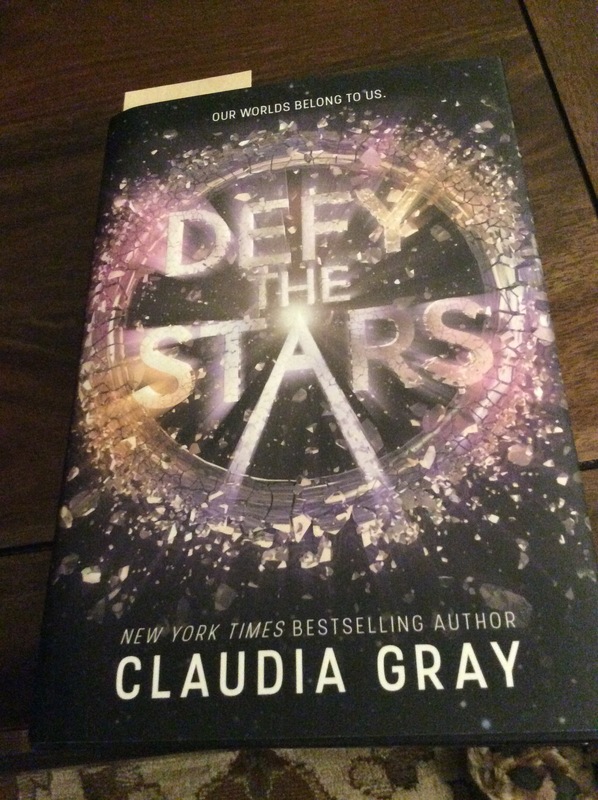 We wanted to switch genre’s and chose Defy the Stars, a YA Science Fiction novel. My review is below, and I’d love it if you also read Donna’s review at heronthereeverywhere.us. She has a real voice for writing reviews and I think you’ll enjoy her perspective. 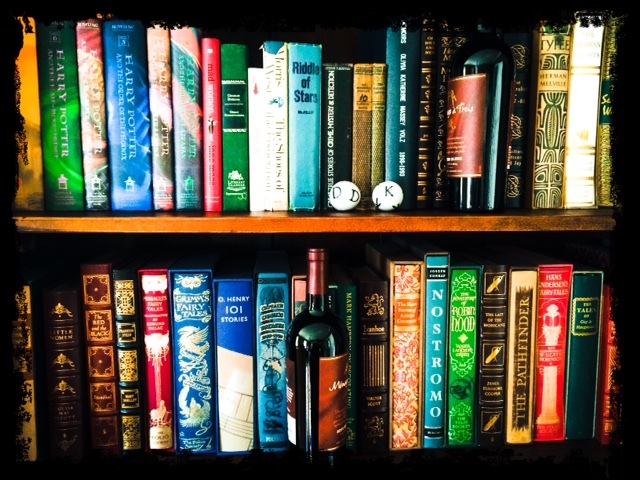 We’d love to have more bloggers join our Blog Book Club. If you’re interested, please comment on either my or Donna’s post. Seventeen year old Noemi is a fighter pilot who has volunteered on a suicide mission called the Masada Run to destroy a gate between worlds. While on a last training excercise before that mission her squadron is attacked by some Damocles fighter pilots and ends up battling for her life. A life that she had volunteered to give up in place of her best friend Esther. Esther, also on this excercise ends up a casualty of a Mech fighter pilot, an engineered android, part human part machine. Mechs were created by their enemy for various jobs that humans don’t want to do. In this case, die in a war. When Noemi sees Esther’s plane attacked, she deserts her place to try to save Esther’s life. Using a tractor beam, she hauls Esther and her ship to what she thinks is an abandoned freighter to try to save Esther’s life. What she doesn’t know is that a Mech named Abel has been abandoned on this ship for thirty years. Defy the Stars is about Noemi, a human who lacks self worth, and a humanoid boy named Abel wh, despite his programming, is looking for the love of a father and the meaning of life. Although he is an artificial life form, Abel, unlike other Mechs, was programmed to learn, think evaluate and grow. 30 years abandoned on a loading dock of an empty freighter has given Abel a lot of time to think about the meaning of life, and his programming allowed him to evolve. So, at the beginning of this book, Noemi and Abel are emotionally at the same place in their lives, and as they interact, make decisions, and come to have feelings of friendship for each other, they grow at the same pace. Although one is human and one is not. Despite the father son similarities to Pinocchio and Gepetto, or even Data and Jean Luc Picard from Star Trek Next Generation, Abel’s journey of self discovery was vivid in color and interesting to read. Even if his thought processes were a little analytical and dry. But, what do you expect from a Mech! On the other hand, Noemi’s inability to see beyond her lack of self worth, her skepticism of Abel’s decisions and abilities, painted her character gray and dismal. Until her moment of discovery, which I won’t spoil, but at that moment her life the choices she makes redeems everything I’d felt about her earlier. The first third of this book was hard to slog through, but I believe the author was setting the reader up for that “moment” of discovery when reading this book became worthwhile and the relationship that developed between Abel and Noemi surpassed the relationship Abel sought with his “father”. As with all children, Abel grew up and that pedestal he’d put his father on, turned out to be not so realistic. For those of us who are adults, we can look back and see that moment with our own parent, when they became real and not all knowing which helped me connect to Abel. Noemi’s defining moment was a lot more subtle and emotional. I guess I need to be hit over the head with the obvious because I felt more for Abel, but then he had a much larger challenge to overcome. He was after all a humanoid to her human.